A DIVERSIFIED OFFER IN TERMS OF THEMES AND LOCATIONS! The Institute provides training in English, French, and Spanish in all areas related to results-based management in a variety of locations. The Institute for Development in Economics and Administration (IDEA International) and University Laval, Canada, jointly offer five Masters Certificate programs (201 hours) that deal with important pillars of Results-Based Management: Masters Certificate in Results-Based Monitoring & Evaluation and Information Systems; Masters Certificate in Results-Based Budgeting; Masters Certificate in Development and Public Investment Project Management; Masters Certificate in Public Financial Management; and Masters Certificate in Audit and Control. The programs are offered according to three modalities: 1) face to face (2 weeks full time * 3 modules); 2) mixed (2 weeks part time at a distance and 1 week full time face-to-face per module * 3 modules); or 3) online (3 weeks at a distance per module * 3 modules). The normal duration for the mixed modality is 3 weeks but a 4th week can be added to let participants finish their assignments. You can also enroll individually to the following Masters Certificate Programs. You can also enroll individually to the following Workshops. 15% VAT are added for courses offered in Canada. For Masters Certificate programs, the participant that successfully completes the three (3) modules of the same program, obtains the Masters Certificate diploma of University Laval and four (4) credits in the regular Master's program in Organizational Development. Participants to professional trainings and workshops on business intelligence software will receive an attendance certificate. All courses offered can be organized on demand for a group of participants on advantageous terms and in the place of your choice. Training is subject to cancellation one month before the training if the number of participants is insufficient. In this case, already registered participants having paid their fees will be refunded. The registration fee must be paid one month before the training. 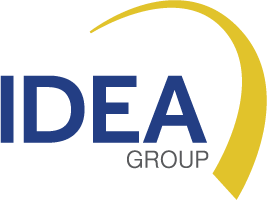 IDEA also offers the opportunity to adjust all of the above proposed training products in the location and on the date of your choice for groups of participants. Professional internships and study tours can also be organized in one of our centers in order to deepen skills in management tools or analysis. The institute offers the opportunity to develop integrated programs of capacity building as part of comprehensive agreements across an organisation, department or country.